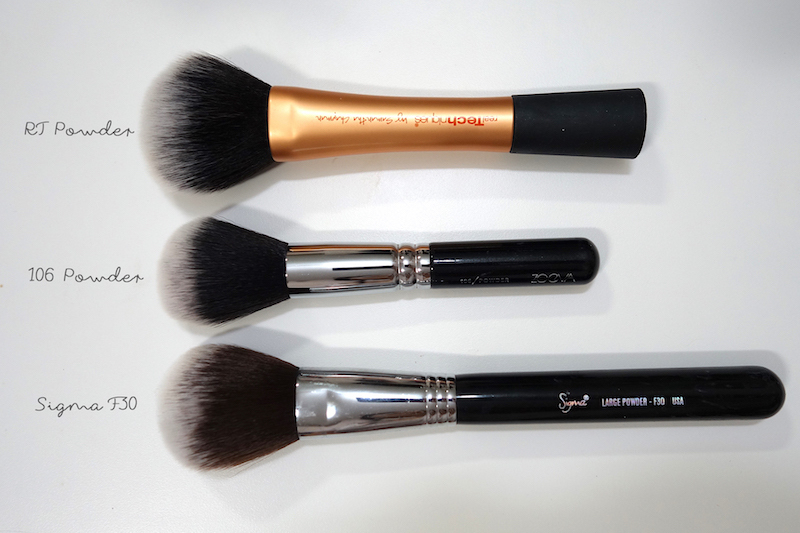 ZOEVA's brushes are hyped about and raved by various beauty blogger and gurus. 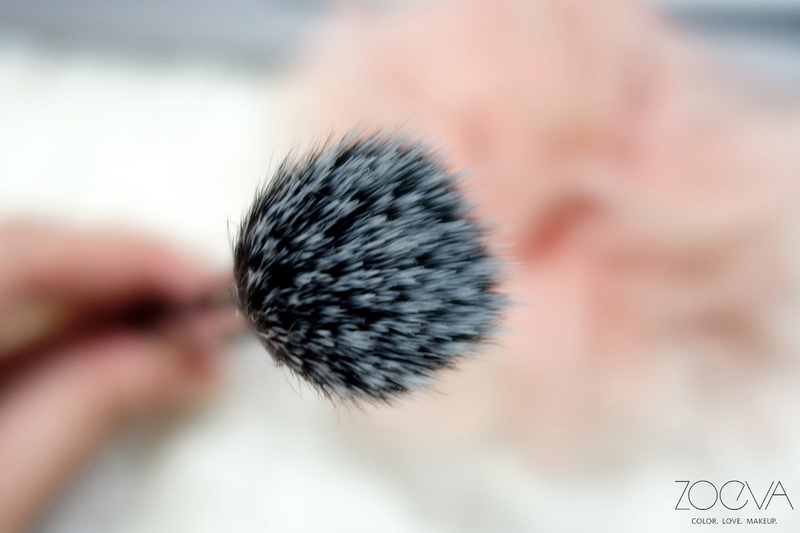 ZOEVA is a german beauty brand that sells makeup and brushes. Luckily for us now, it is available in Singapore on Luxola. Do stay-tuned for my Rose Golden Vol. 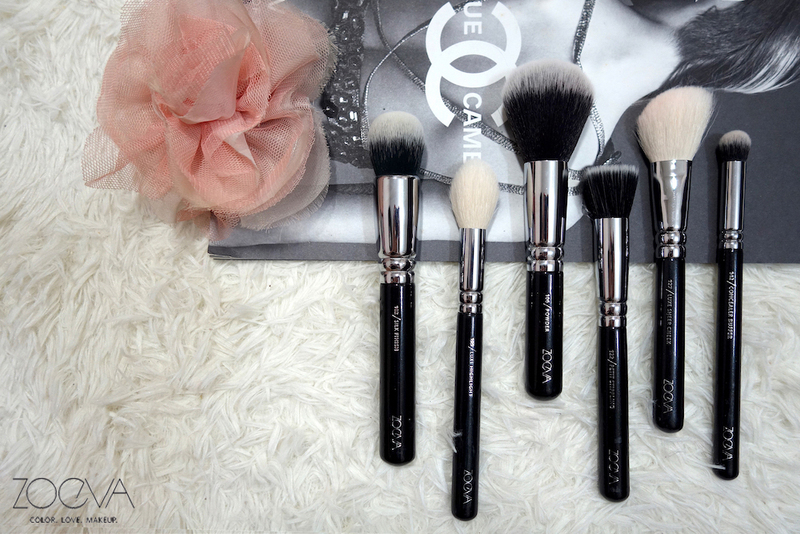 2 luxury brush set as well! 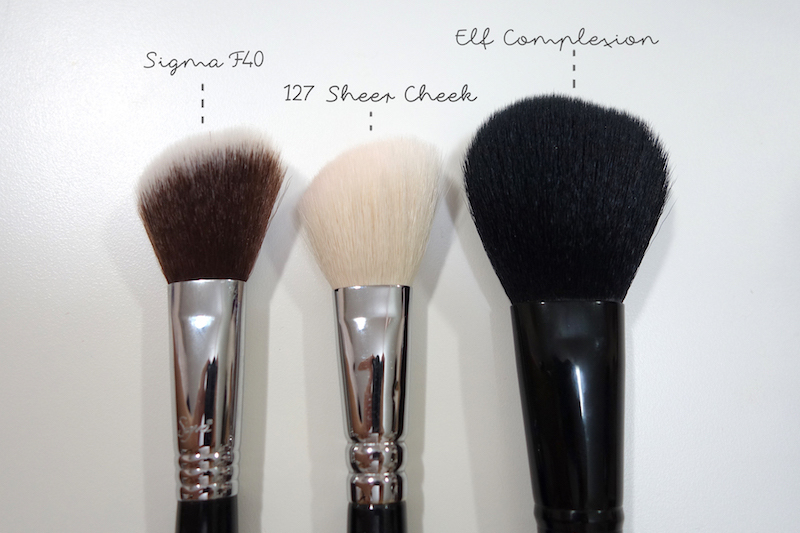 I own Sigma brushes as well, those are the first brushes I got off on recommendations of bloggers. I did get mine on Luxola as well with a 20% off with their card discounts. Recently Luxola started carrying so many more high end brands that Sephora carries, but most of those brands are 'non-sale brands'. So what's the point of me getting it from the website? If I can get points and discount with my Sephora card. But I'll definitely recommend checking out their website for so many other brands that you can't find in Singapore. Most of them are available to use with their discount codes :) they do offer free shipping for orders over S$40. 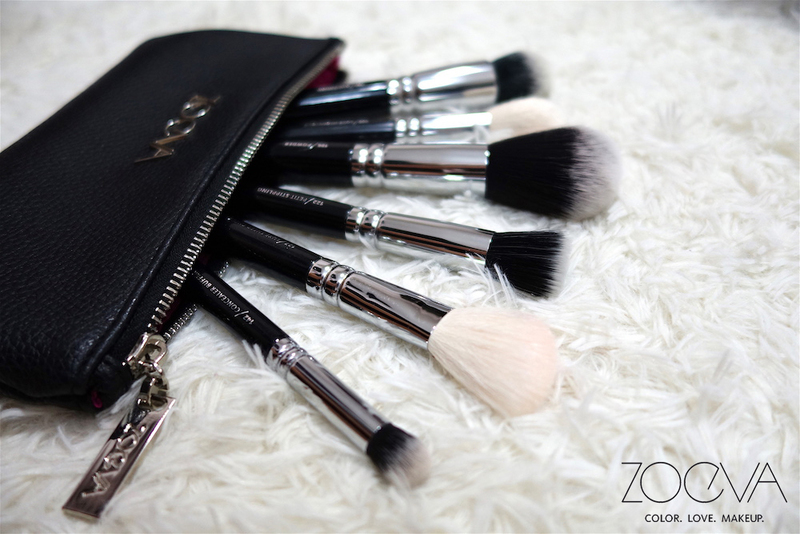 I have 2 sets of ZOEVA brushes and I LOVE THEM - especially their eye brushes. Let's move on to the review! 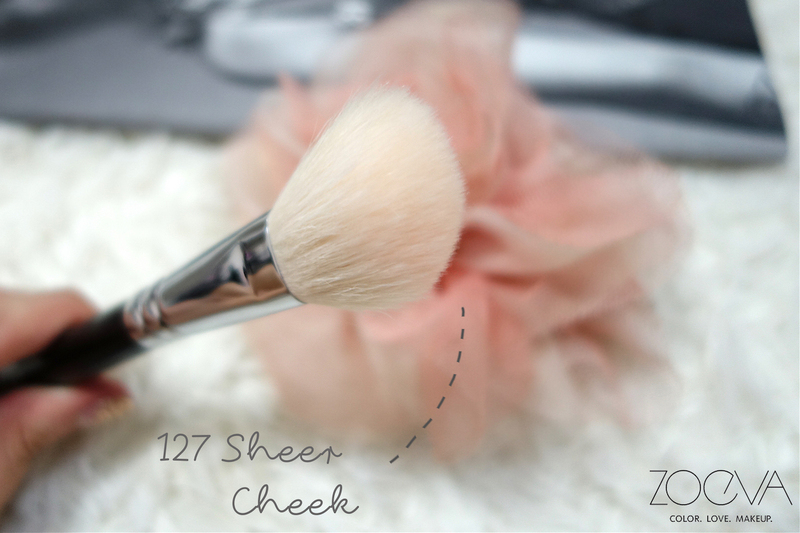 I will cover the ZOEVA Classic Face Set and 231 Petit Crease Brush in this post. 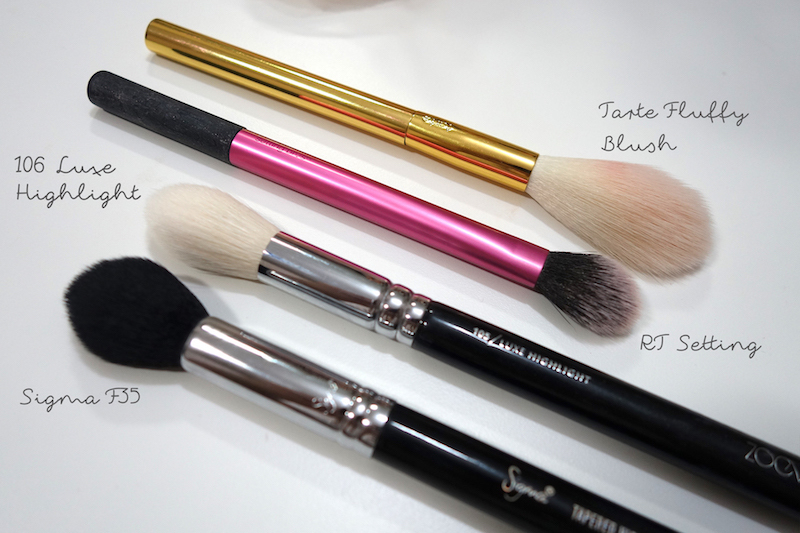 The brushes are made of a combination of natural, taklon and synthetic bristles. 102, 105, 106, 122 and 142 - Synthetic and 100% Vegan Taklon hair. 127 - Taklon and Goat hair combination. This set came with a travel friendly pouch. How nice. 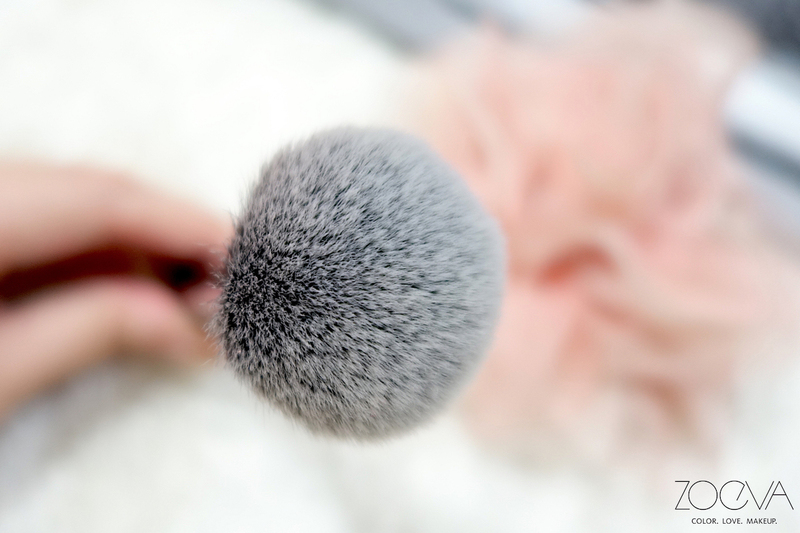 I love the simplicity in the ZOEVA products' design. The pouch has a hot pink interior! Who doesn't love that? 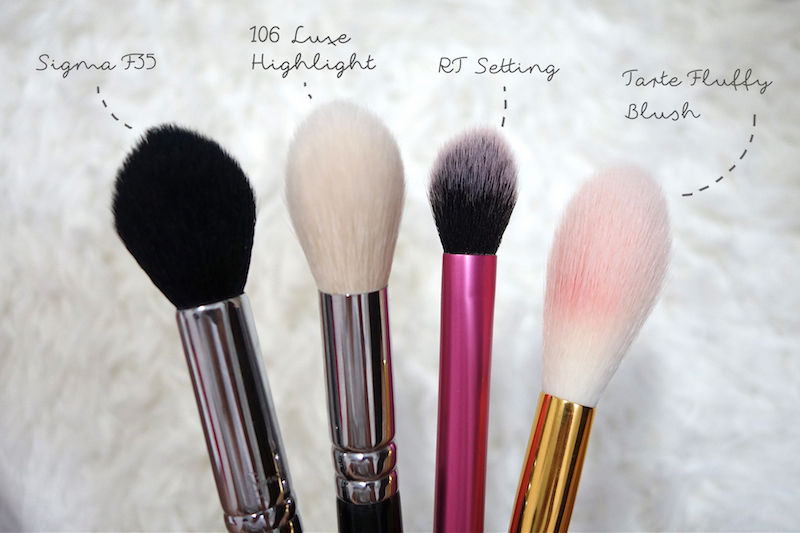 Look at how soft these brushes look. 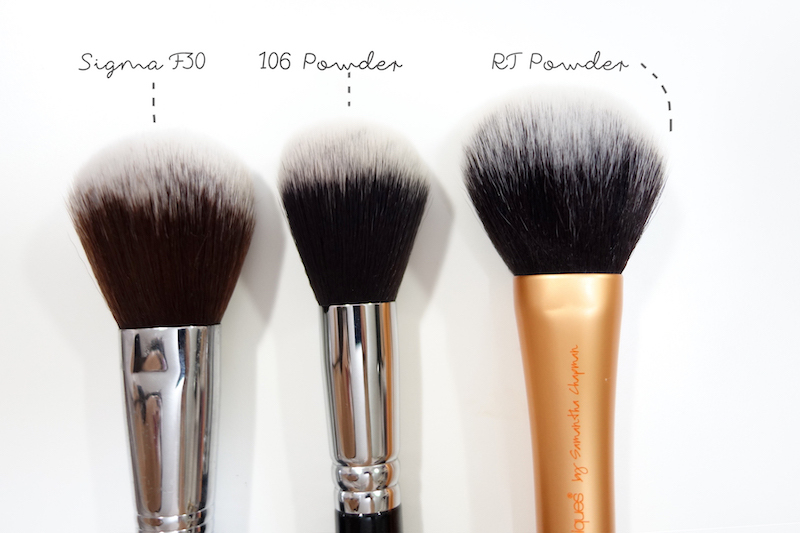 Let's look at the individual brushes up close. I will link them individually if you want to purchase them on their own. 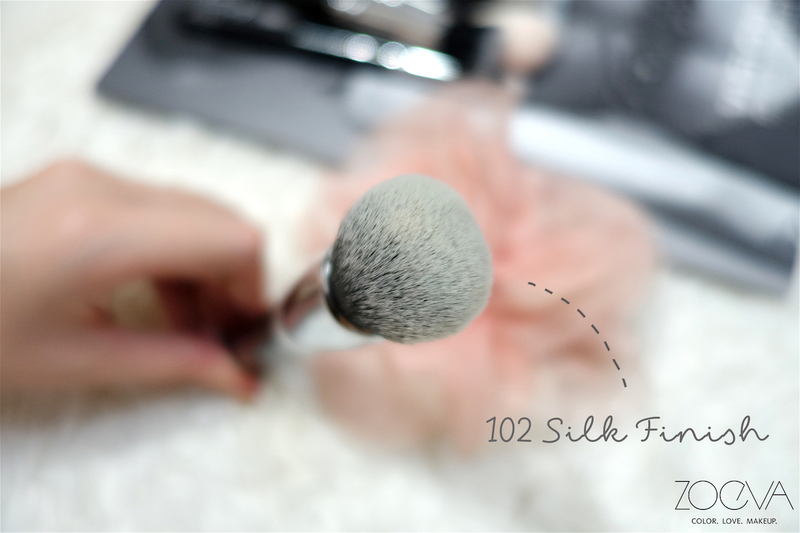 This reminds me of a denser version of my all time favourite Real Techniques Buffing Brush. 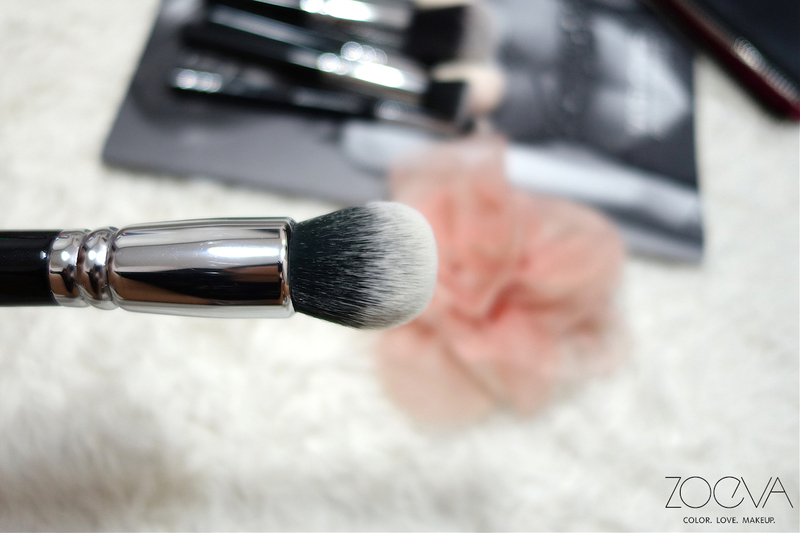 Slightly closer to Sigma's Round Kabuki F82 (S$34). 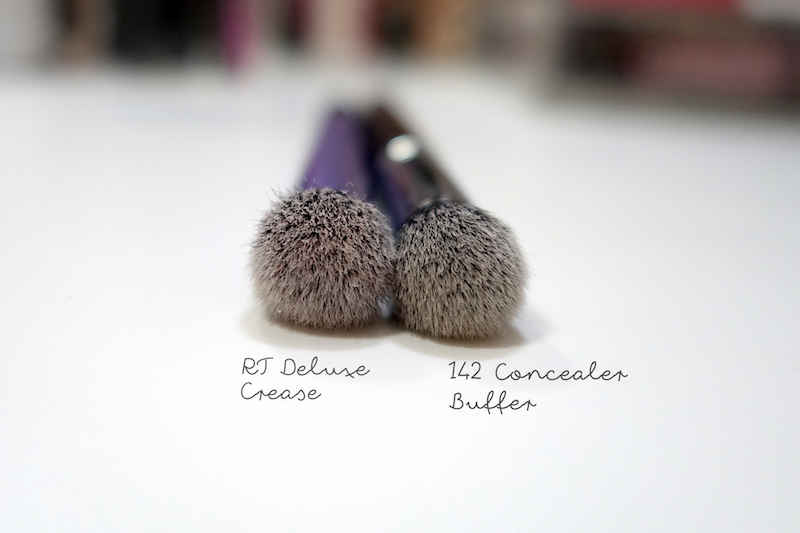 This gives a natural finish and is ideal for buffing in foundation for a light to medium coverage. 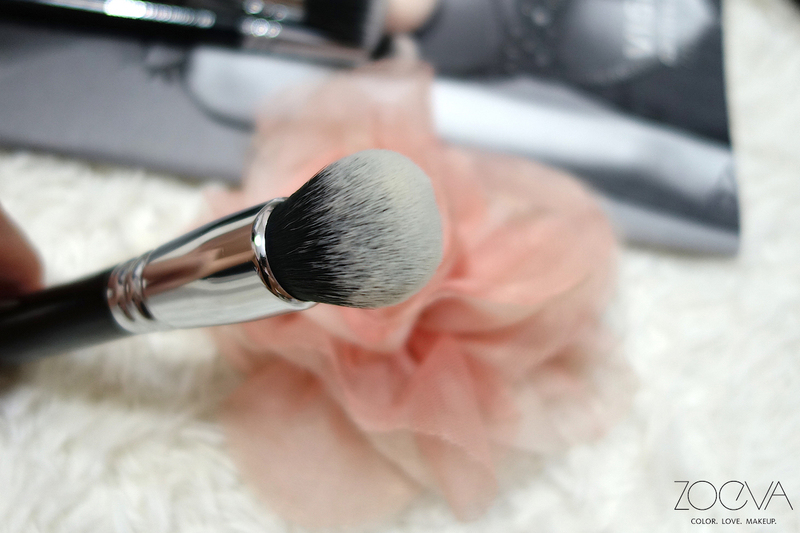 This is quite a versatile all rounder kinda brush as it is super fluffy and soft but yet holds its shape. 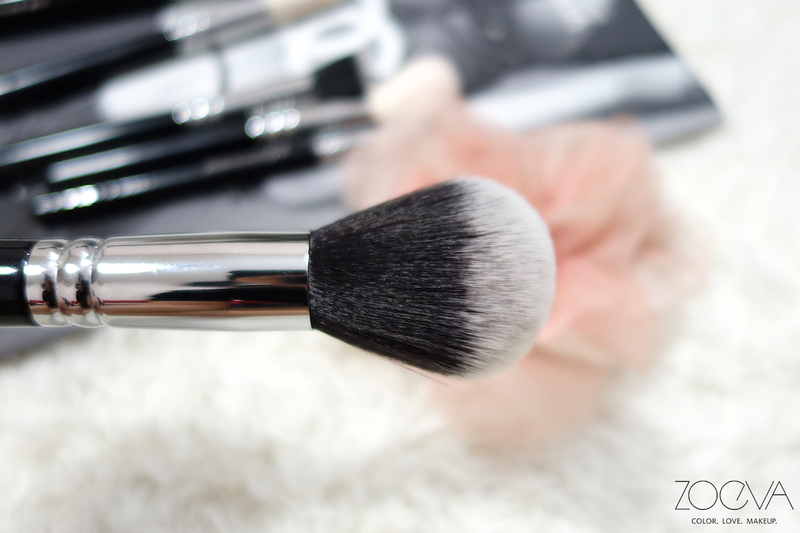 You can use this for highlight, setting your makeup with powder or even contouring as it is a tapered brush. 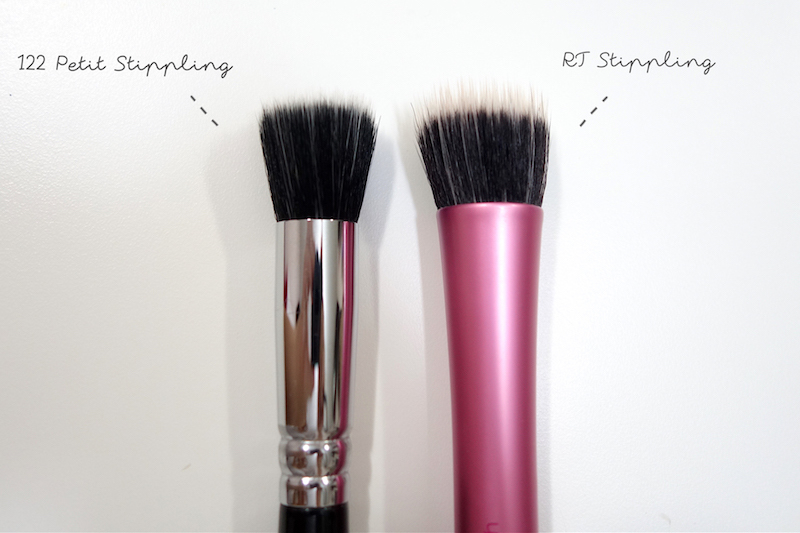 However, I do reach for my Real Techniques Setting Brush (S$18) for my highlight, and my Sigma F35 Tapered Highlight (S$34) to set my under eyes over this brush. 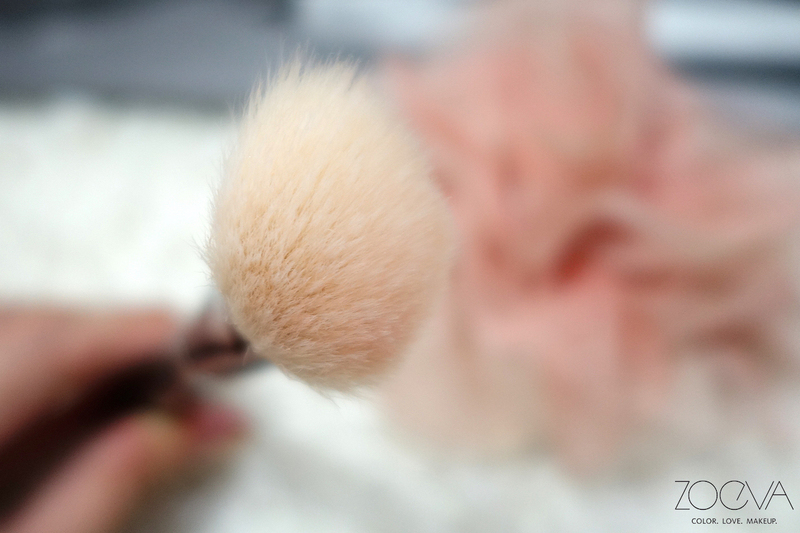 I do prefer this for setting makeup over highlighting as it is a pretty big brush for highlight. 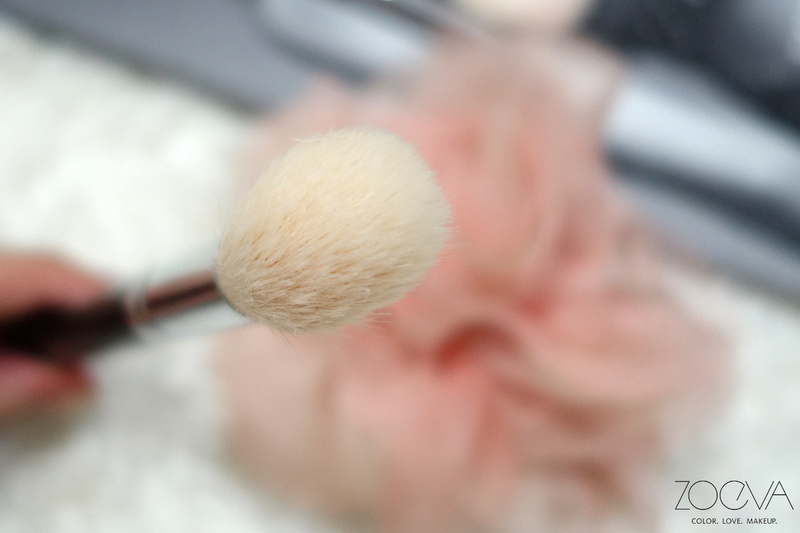 This is a very soft and fluffy powder brush that doesn't pick up too much product - which I appreciate. 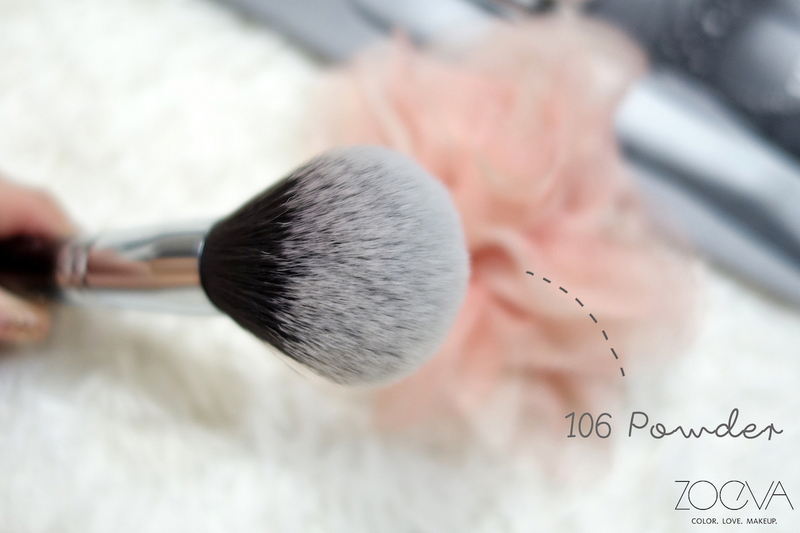 Some powder brush can be way too dense and picks up loads of powder, hence caking up the perfect base you just created. 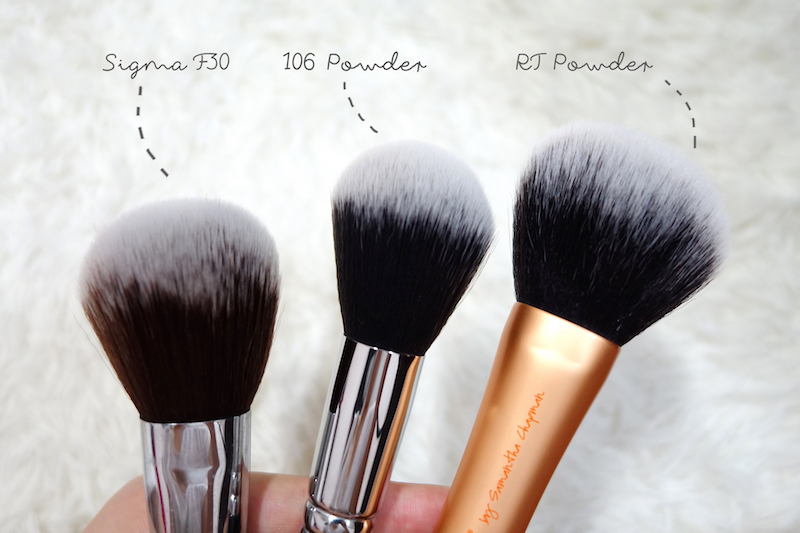 This is rather similar to the Sigma F30 Large Powder Brush (S$28), I do prefer the ZOEVA one over Sigma. I don't tend to reach for this as much, as according to the name, it is really petit and take too much work. 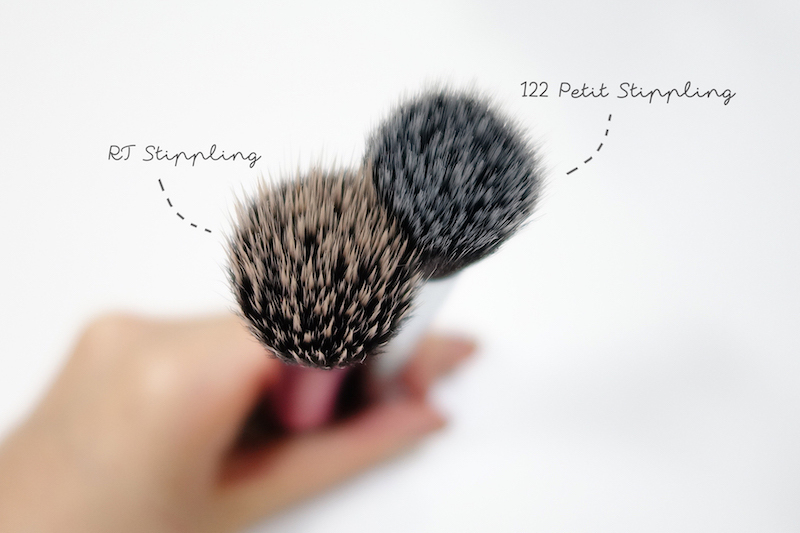 I like this type of stippling brush for blending out cream blush or when I was too heavy handed with my blush; which happens way too often. 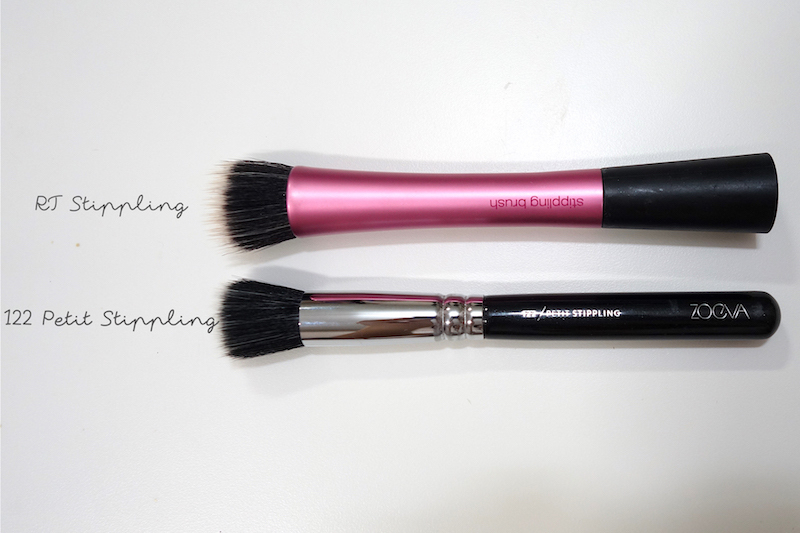 I prefer my Real Techniques Stippling Brush (S$18) over this as the size is just nice. 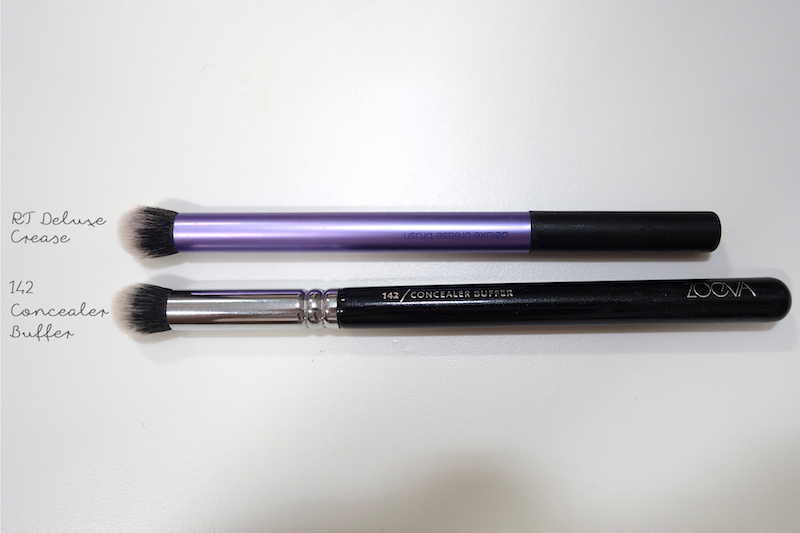 However, the quality of the brushes are almost the same and aside from the size issue, this is really a good brush. 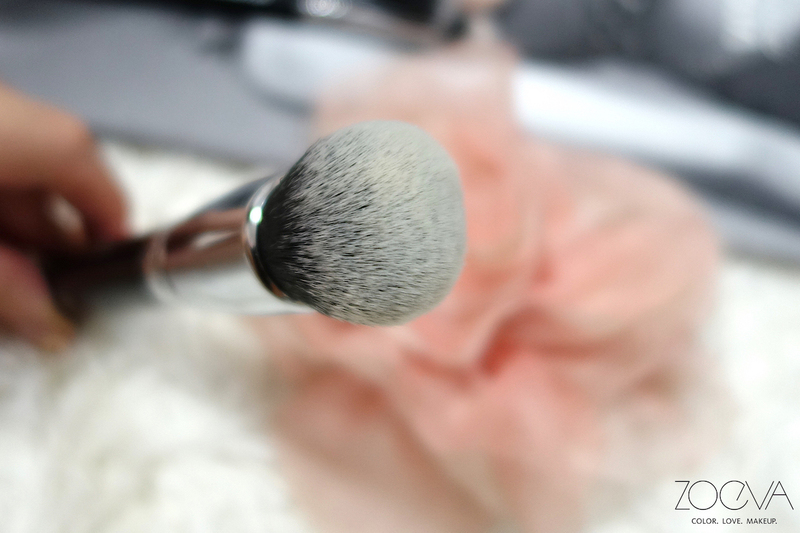 This is the classic angled blush brush and it is perfect for what it does, in fact, this is something I always keep in my travel makeup bag. 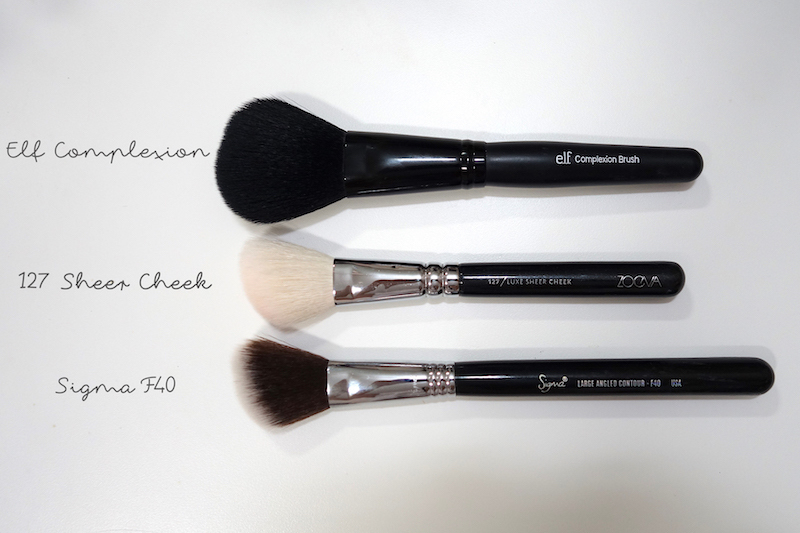 On a day to day basis I have been lazy to switch up my brushes so I use the same brush for contouring and blush oops - ELF Studio Complexion Brush. 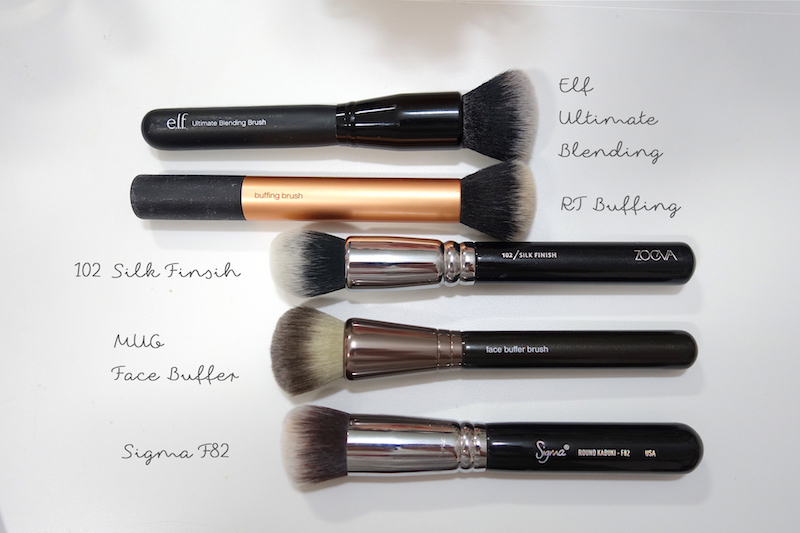 This is good and cheap, I really recommend you guys checking out ELF Studio line brushes. 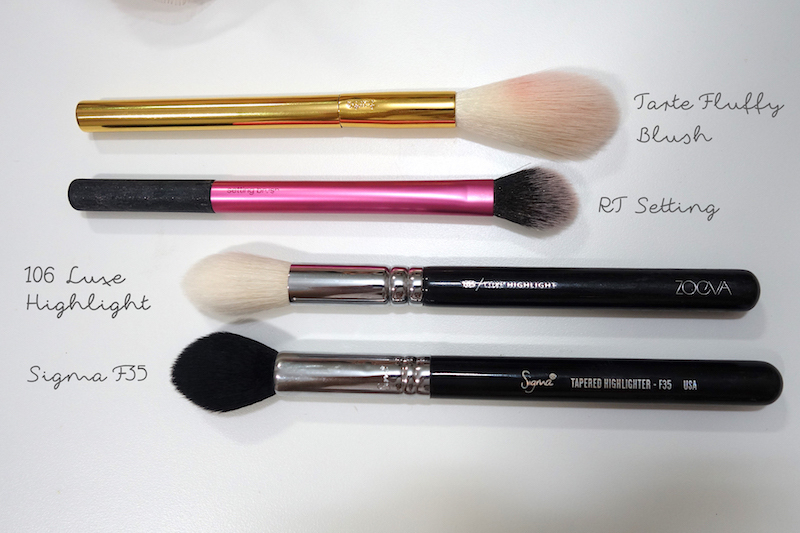 You can get them online in Singapore or certain booths in shopping malls do carry ELF products, I believe their brushes are around S$8 each. 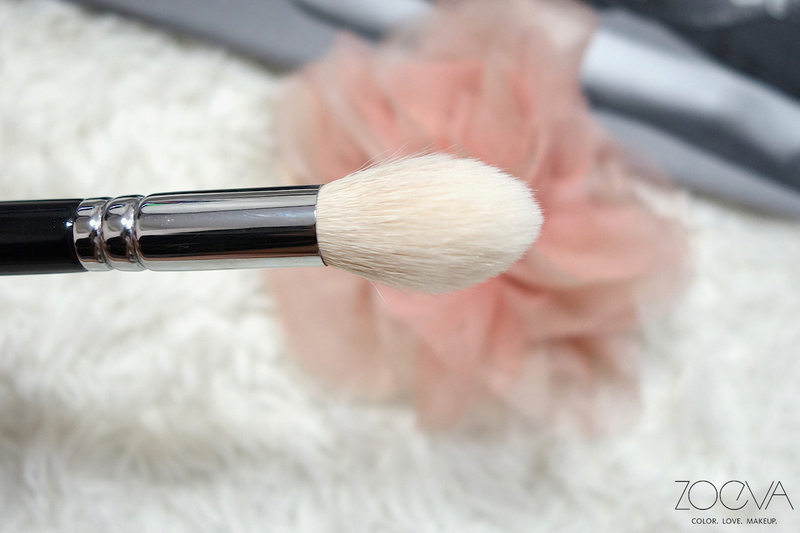 This is good for packing on a thicker concealer onto trouble spots you want to cover and then slowly blending the edges out with either your fingers or this brush itself. 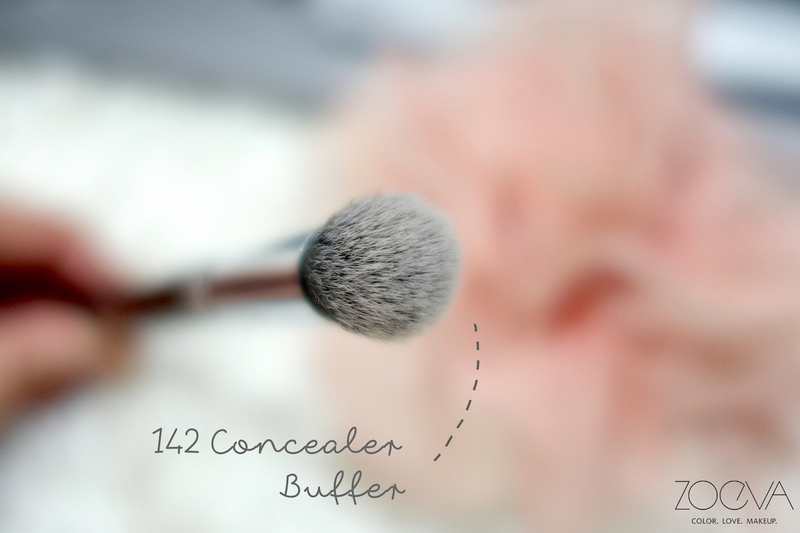 I am often too lazy to spot conceal unless it is for a night-out or events. 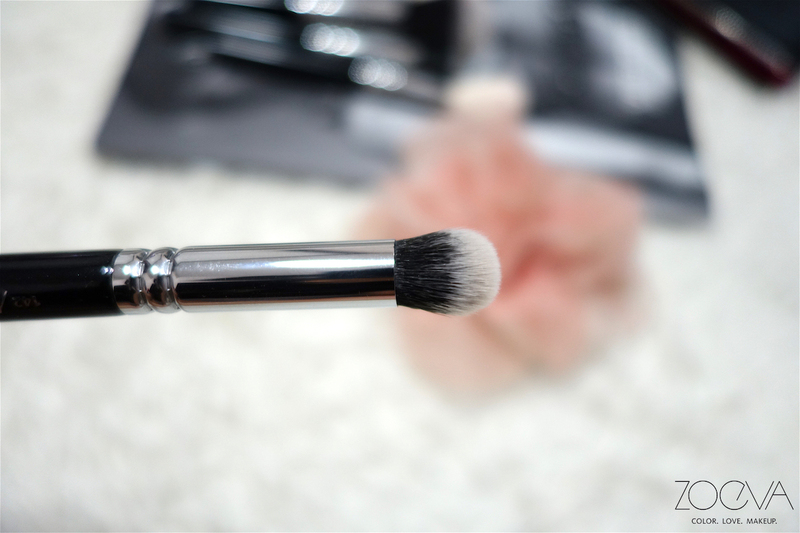 I usually use this for cream eyeshadows or cream-based eyelid primer pots. 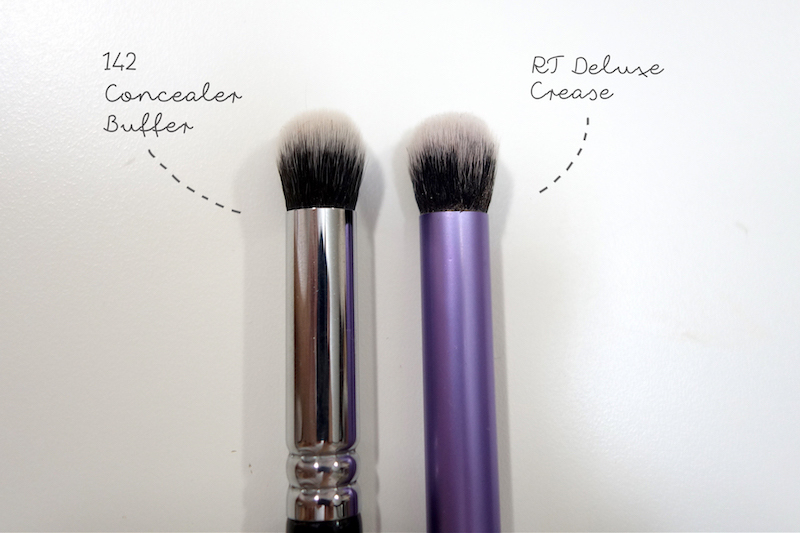 Real Techniques' Starter Set for eyes has the almost exact same brush, Deluxe Crease Brush, and I switch both around, one for skin tone bases, and one more darker coloured cream shadows. 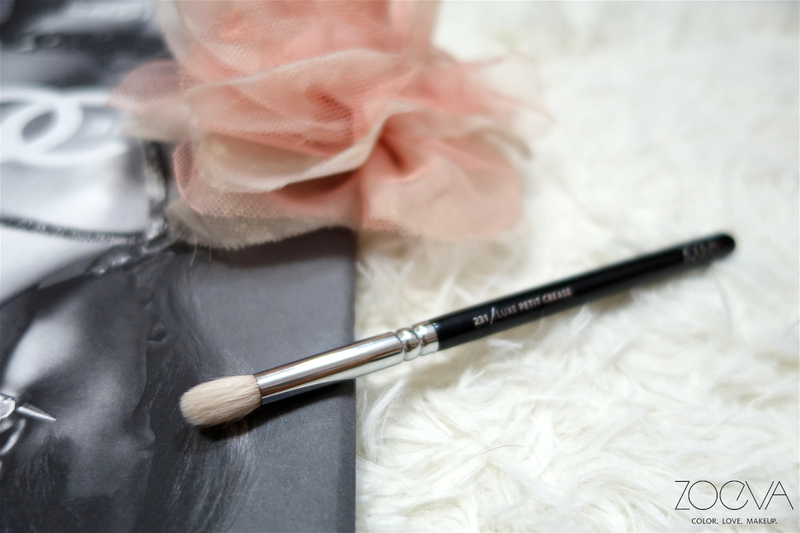 Another brush that I ordered on its own is the highly-raved and the all time ZOEVA fan favourite 231 Petit Crease Brush (S$14.50). It is made of natural goat hair. Now I know why everyone loves this! 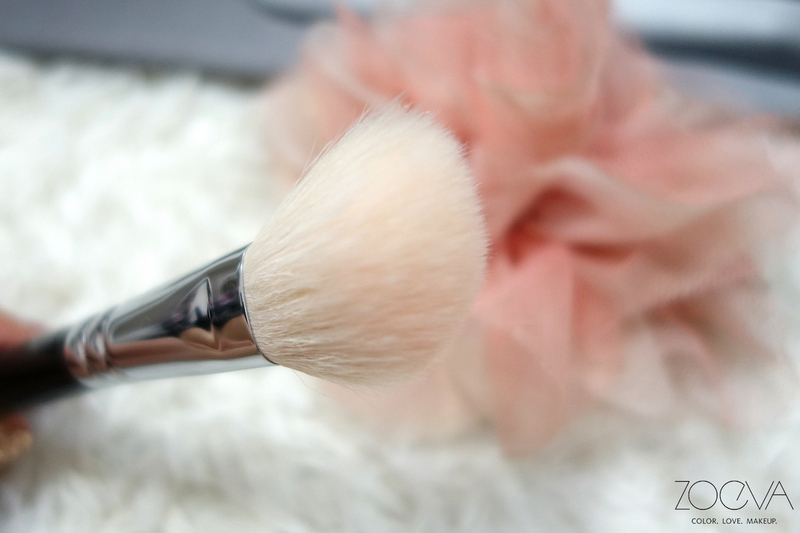 I have their normal crease brush in my rose golden set, but I prefer this so much more! Maybe because my eyes are smaller, this is the perfect size to pack on that crease shade without getting shadow all over. 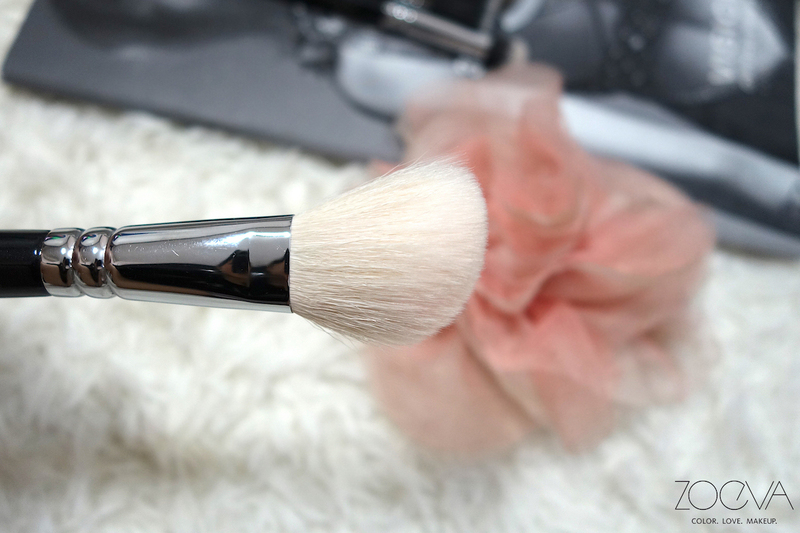 Highly highly recommend, and I do not own any other crease brush that is as good as this! 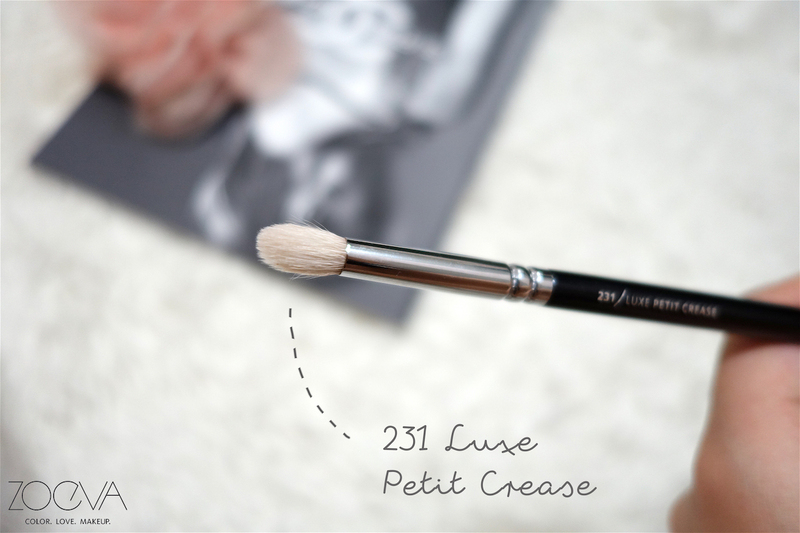 The 231 is baby version of Zoeva's 228 Crease brush that I got from the Rose Gold Set. 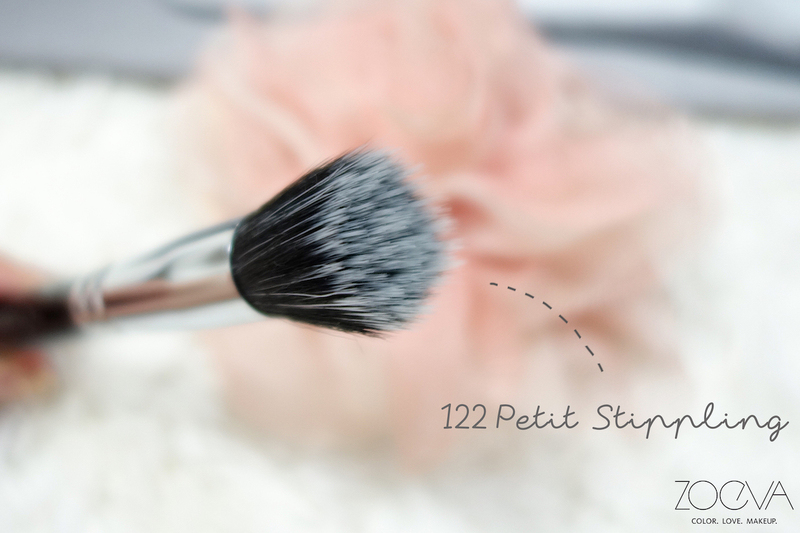 231 is definitely more for a precise crease definition whereas 228 and Sigma E40 are more fluffy crease brushes that's good for a even dust of colour over the lids or a softer transition shade. 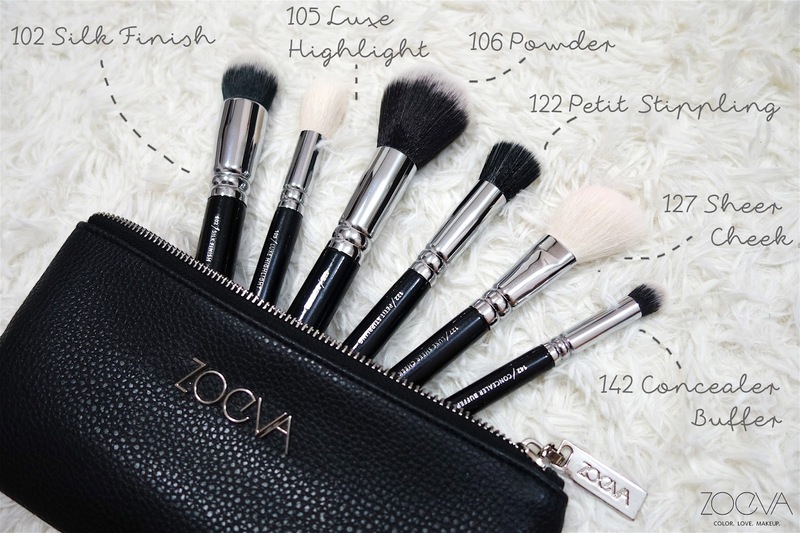 Go get yourself a set of ZOEVA brushes! 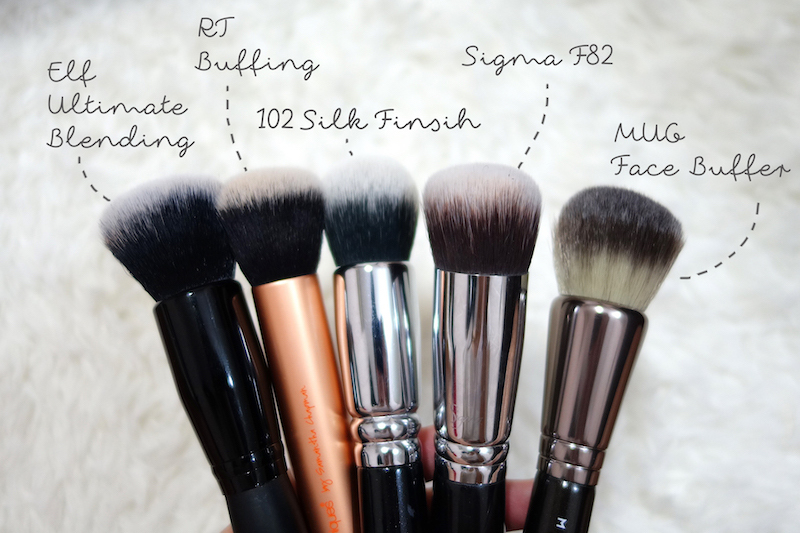 I recommend them over the Sigma sets 100%!!! Hi dear, glad that you found this post helpful. Thank you so much for having replied! In the end I'm going to buy that :) I also would like to purchase an eyeliner brush that can be very precise in the application. 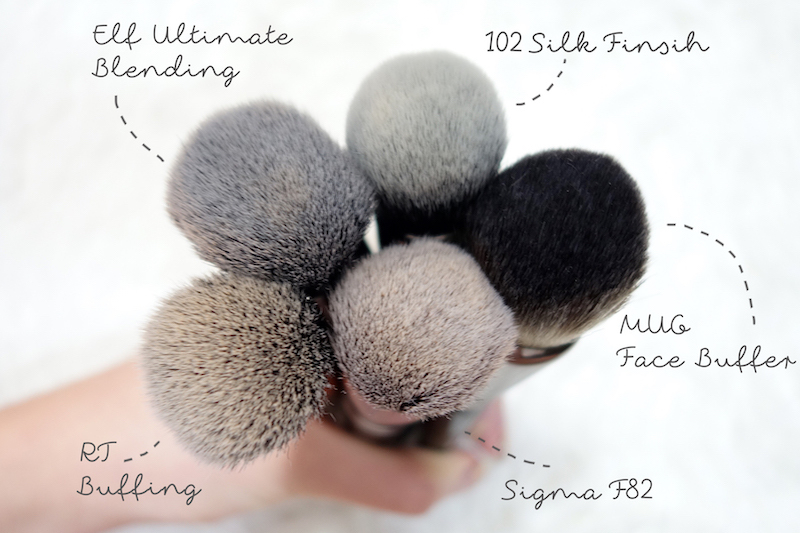 Unfortunately Sigma and Morphe Brushes are not sold in my country (Italy), but Zoeva brushes are available. Actually, I could find them on the Internet, but because of the shipping charges I would spend a lot of money. Haha! 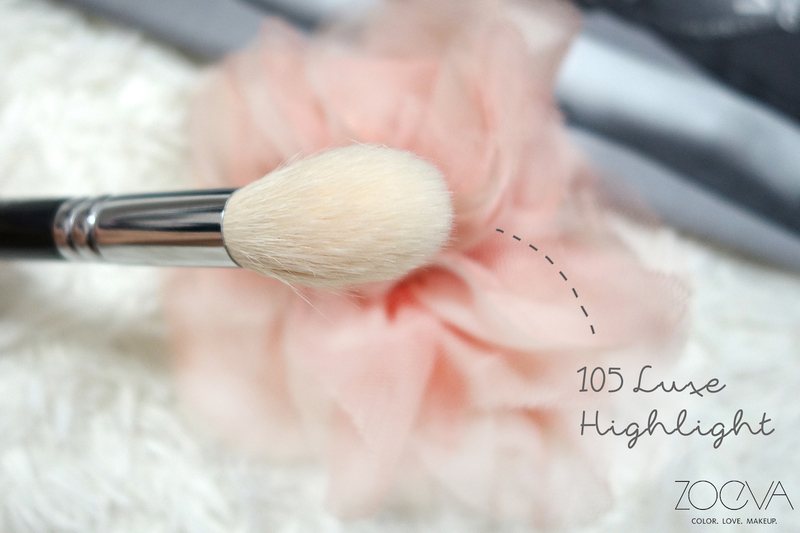 Absolutely no bother Giulia :) Actually if you fluff out the 105, it does works well for setting and highlighting. I realized that I have been leaving it in the original sleeve it came in and it was kept super dense and packed together, probably that's why it didn't work well for me. Eyeliner wise I swear by the Zoeva 317! 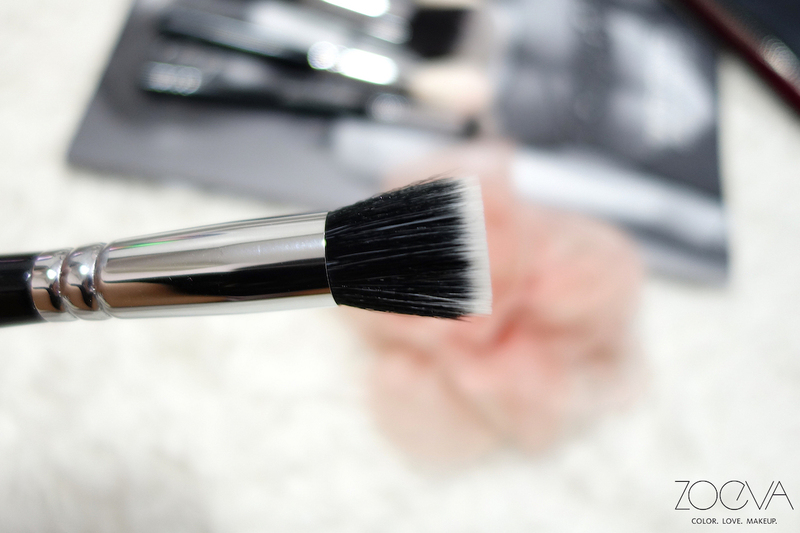 It is the only wing liner brush I use and I have 2 of them. 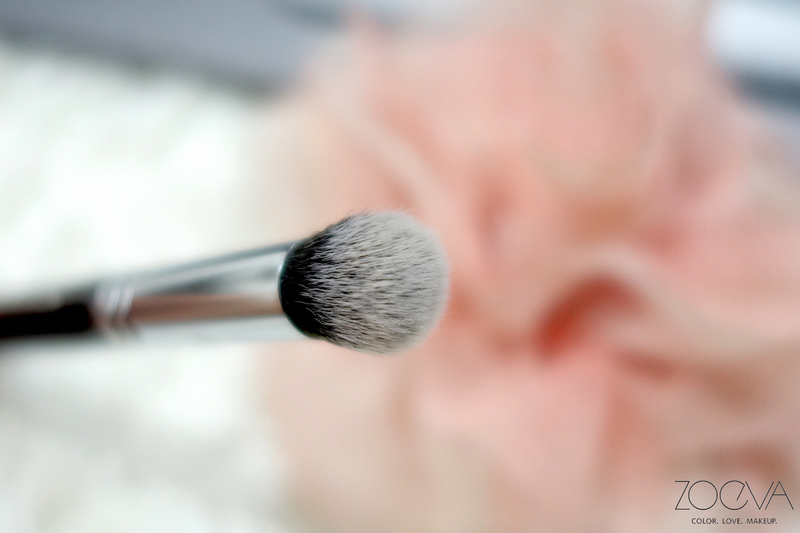 I use it with cream gel pots and even eyeshadows all the time. Very precise application and easy to use. I'm sure you will love it.